Easter is upon as and since we’ve already reminded ourselves of the awkward Easter photos from 2014 & 2015, it’s finally time to take a look at the The World’s Top 10 Awkward Easter Photos – 2016 Edition. Are you brave enough to read on? 10 – “Cocked Up” – fair enough if you have ugly kids, just don’t take their photos. 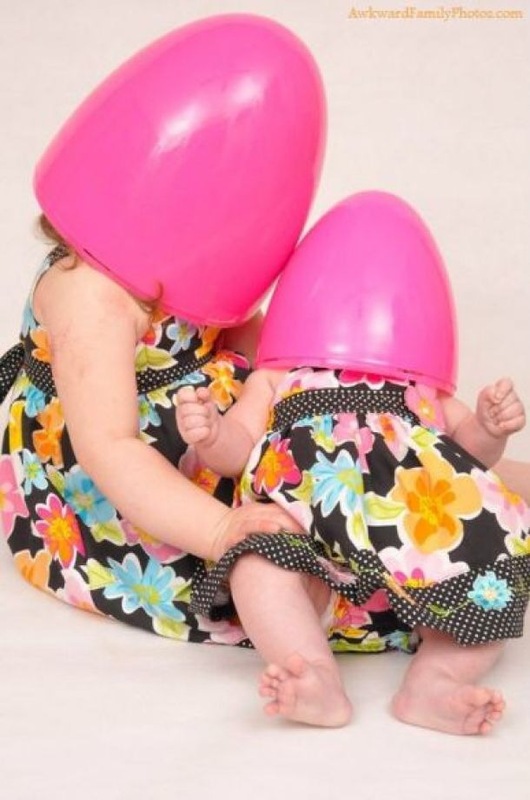 Don’t take a photo of them with pink egg shells on their heads as they will just end up looking like penises in a dress! 8 – “Christ On A…Raptor” – when you are told that you are not allowed to dress up as Jesus for Easter and decide to dress up as Jesusrassic Christ instead – that’s allowed, right? 6 – “In Disguise” – the oldest photo in the list, when Jesus rose again it’s a little known fact that he had to disguise himself so as not to get crucified again! 5 – “Eighties Easter” – be ashamed of yourselves, you are living in the 80s, the best decade ever – rock that big hair and love those shoulder pads and SMILE! 3 – “Awkward” – it’s really hard to see but the guy in the background is doing something really embarrassing…honest! 1 – “Easter Sunday” – grandad’s funeral was on Easter Sunday, grandad had an open casket, grandad loved Easter – rest in p-Easter gramps! You have to stop doing these – I can’t stop looking and I can’t un-see! Black and white bunny for the win! I like them really – makes me feel better about photos of myself! 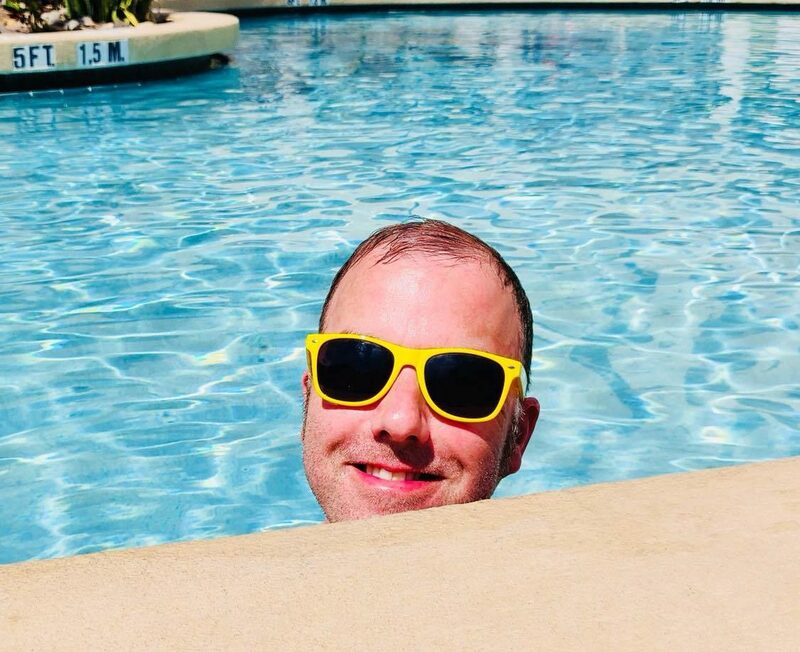 Ha – hope you had a fab birthday! I did thanks and out tonight for proper ‘don’t have to get up for school’ celebrations! (We’ll probably be in bed by 10pm, you watch!) Did you have a good one? Yeah. Was pretty non eventful. Enjoy your night! You always make me smile Steve! Happy Easter! Ooh are we getting our DJ on tonight? Very crazy! Happy Easter to you too! Hehe, just love these – what fun you had searching the Internet. So what is the guy in the background on picture 3, doing? I can’t see, even with my glasses on. Woah! There is so much to say about them all but… in 80’s Easter has that kid at the front got a Pee Wee Herman doll?! Yeah, it looks like it doesn’t it? *shudder* Still, it was the 80s after all. Is he not still famous? Wasn’t there a scandal of some nefarious type?